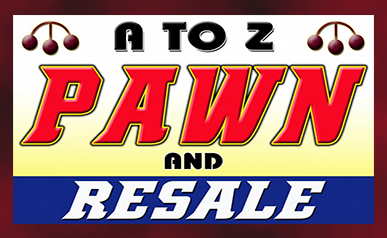 PAWN your items of value for a quick, easy, and affordable loan! SELL your unwanted items of value for CASH! BUY items from a variety of Antiques, Electronics, Jewelry, Collectibles, Unusual Items, & much more. CONSIGN your unwanted items and receive money on day of sale! A To Z offers affordable cash loans and purchases in minutes for your items of value! You can also shop and browse through an assortment of quality items at discounted prices. We welcome walk-ins and new customers and are family-owned and operated. You have to stop in today to see what we're about!